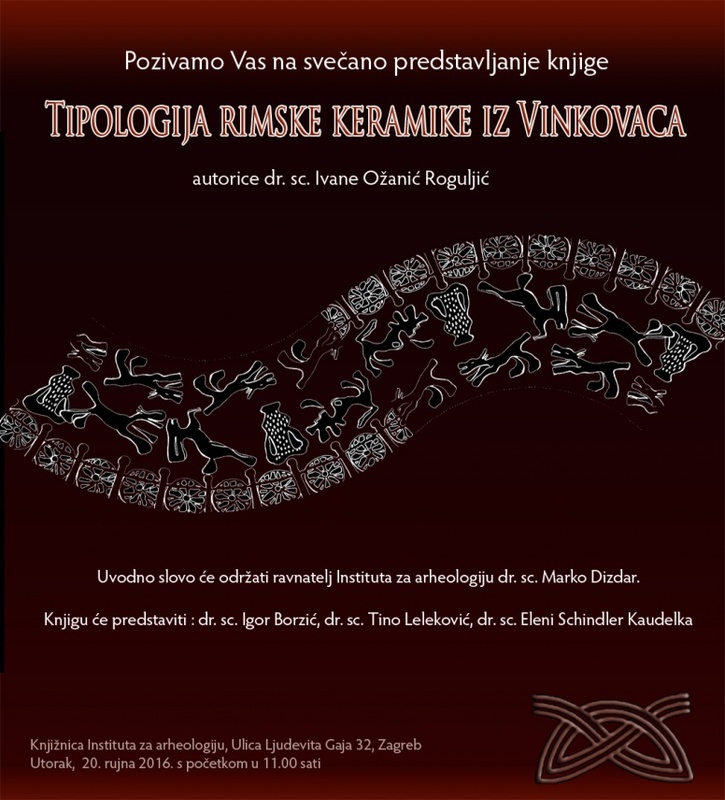 It is our honor to invite you to the presentation of the book: Typology of Roman pottery from Vinkovci by the author dr. sc. Ivana Ožanić Roguljić that will be held on Thursday, 20th of September, 2016, 11.00h in the library of the Institute of archaeology . Introductory note will be held by director of the Institute of archaeology dr. sc. Marko Dizdar.